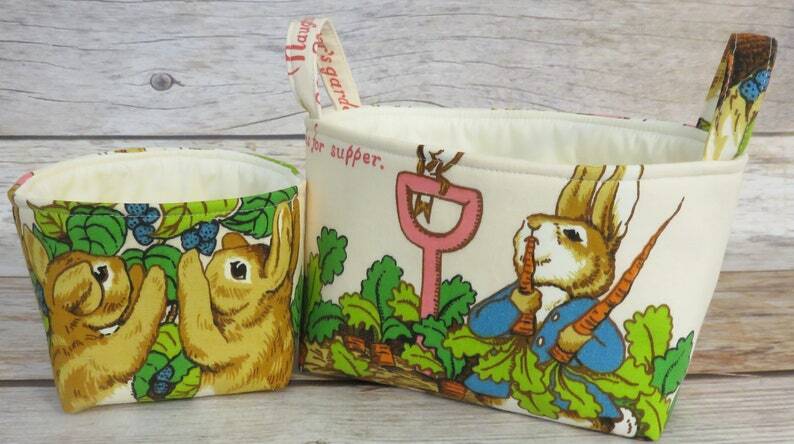 ● Peter Rabbit Fabric - Vintage Beatrix Potter Fabric for the outside of both bins. ● Cream cotton Fabric for the lining. ● Hand or Machine wash cold on gentle cycle then line dry. Steam iron can be used to remove any wrinkles in the fabric.